Do you wish there was a way to have protection from the elements during your next hunting trip? Do you own a farm that could really benefit from an additional structure that is used to conduct business outside of your home? If you answered yes, prefab cabins from Deer Creek Structures are the perfect solution. These durable wood cabins provide shelter and space and are designed can stand up to the harshest weather conditions. 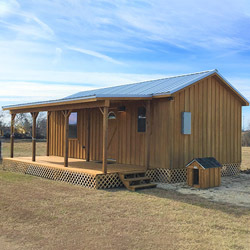 Deer Creek Structures specializes in manufacturing and delivering pre-built cabins to residents in Oklahoma, and it won’t take you long to figure out why the portable cabins made by Deer Creek Structures have become some popular with people nationwide. We design Prefabricated Cabins that are built to last. All of the pre-built cabins that are designed by Deer Creek Structures can be ordered finished or unfinished, depending on your preferences. Featuring cypress wood siding on the exterior, you’ll also receive a long-lasting and durable cabin when you order from Deer Creek Structures. 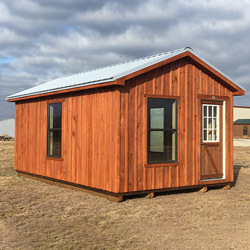 While other portable cabin companies rely on metal siding that can rust and wear away or cheap wood that can quickly rot, Deer Creek Structures uses cypress wood, providing a durable, long-lasting and attractive finish. That also means you can trust your cabin will last for years to come without worry about the weather. 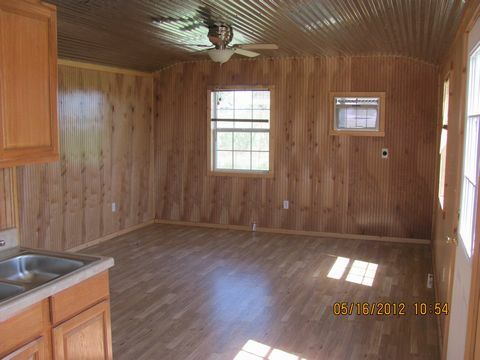 Deer Creek Structures also uses study metal roofing with low-E insulation on all their prefab cabins. These roofs provide the protection and insulation you will need to get through the warmest summer days and chilliest winter nights. Those who have ordered pre-built cabins in Oklahoma from Deer Creek Structures have done so for a number of different reasons. 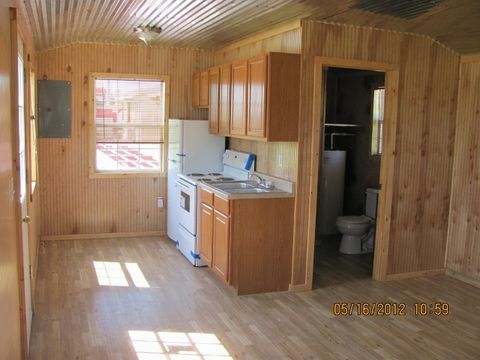 There are hunters in Oklahoma who love the shelter that prefab cabins provide for them when they are out on a trip. 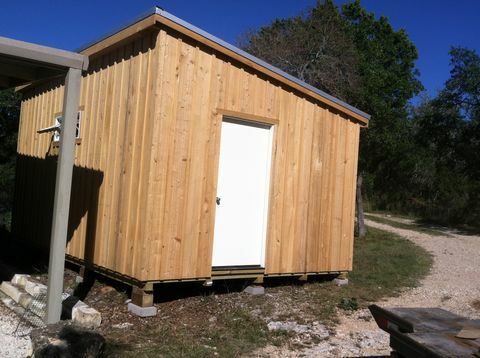 Portable cabins can be moved around to accommodate hunters and to keep them out of the rain and wind. There are also farmers who own large plots of land who rely on their prefab cabins to provide them with a sheltered place to take care of tasks. If you plan on using portable cabins for hunting or you don’t necessarily need a ton of space in your prefab cabins, then the 12-foot cabins from Deer Creek Structures is the perfect option. These pre-built cabins can be placed near a farm, next to a home, or out in a field to give you some extra space and shelter. If a 12-foot portable cabin doesn’t seem like enough space, the 14-foot prefab cabins from Deer Creek Structures are another great option. They feature all of the same features and amenities that you get with the 12-foot portable cabins from Deer Creek Structures, but they have more space for storage, work, relaxation or whatever else you want to use your cabin for when you get it. For those Oklahoma residents who want to get the most space possible, Deer Creek Structures offers 16-foot portable cabins. These portable cabins to give yourself ample storage space, or you can set up an entire working or living area inside of your cabin. Whether you plan to place it right in your backyard or all the way out in a remote area of your property where you like to relax and unwind, these pre-built cabins will give you the shelter you need and the space you crave at the same time. 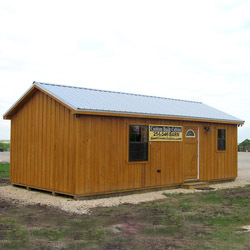 Deer Creek Structures offers fast delivery of cabins, as well as barns and run-in sheds to customers throughout the state of Oklahoma. To learn more about pre-built cabins or any of Deer Creek Structures’ other available outbuildings, call 254-546-2276 today. 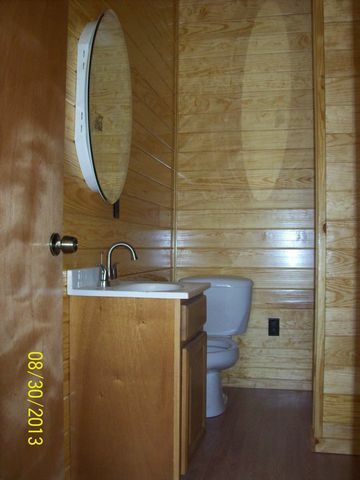 See what finished & unfinished cabins are available, click the button below.